If you've been watching aviation closely, this auction will come as no surprise. For many years hoarders have been collecting everything they could get their hands on and now they are facing the reality that their collections can't go with them. A positive outcome of this is that the "hunter gatherers" among us saved a lot of our old planes because of their passion for the "gathering" part. Sadly though, very few of them ever got to enjoy all that they had and most have now waited far beyond the peak of the antique aircraft market to sell. Therefore, the people who thought were were going to get rich and retire off their collections are now faced with the reality of aircraft values that have corrected back to a level of sanity. But don't worry. Those of you who still want to believe your vintage aircraft really is worth two to three times the going price, there's hope. Starman Brother's Auctions routinely sends us auction papers about FBO inventories or personal collections that are up for auction. Years ago we even visited a few of these. Then we realized that no matter what was up for auction, people were paying well above market value for nearly all the items at these events. Attendees were often even paying above list price for new items!!! It was amazing, sad, and disappointing to watch and we quit going. Now maybe you're asking yourself, why did he title something "Amazing Auction" and then go to all that trouble to tell us to beware of auctions. Well, here's why. Starman Bros. Auctions Inc. has just posted a new auction of an incredible collection of old planes. Among the items are a Curtis Wright Jr. with an original Szekely (pronounced SEK-kay but commonly heard in USA as zeekly), a Velie core, and a Salmson AD9 powerplant. There are also three E2 Taylor Cub projects, a Starduster, and somewhere in the neighborhood of umpteen Piper planes. Among these umpteen Piper aircraft, it appears there are between ten and twenty Cub projects. But this is just a fraction of what's there. This auction is amazing because of the incredible amount of "stuff" that's up for grabs. You have to go look for yourself. I have only scratched the surface. Click here to see the link. Be warned and be educated before you go. 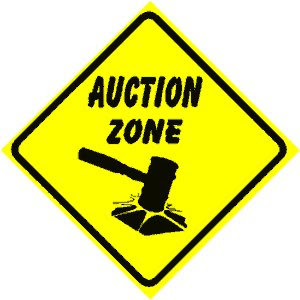 Contrary to popular belief, auctions rarely have deals.